It was a night we won't soon forget! 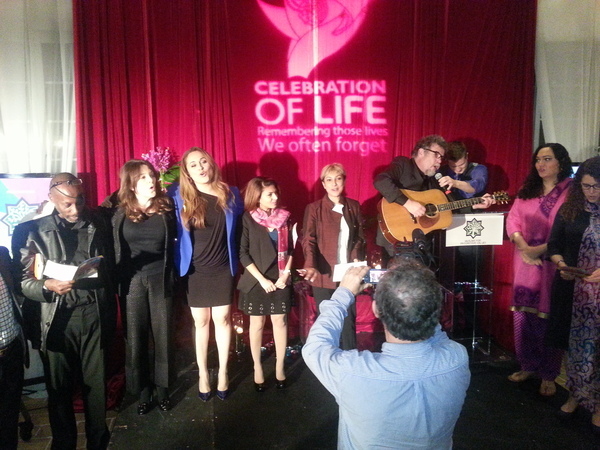 Thanks to the hard work of our MPV-LA staff and our wonderful line-up of presenters, Celebration of Life 2016 was a beautiful memorial evening. MPV would like to thank Layla Ghaznavi, Hasan Hasan, Mike Mosallam, Tom Earl, Crystal Keshawarz and Kelly Wentworth of MPV-Atlanta for all their hard work and effort in making Celebration of Life a night to remember. After a hilarious stand up routine by comedian Maz Jobrani, our own Ani Zonneveld took to the stage to deliver a welcoming performance of “In My Soul.” She then introduced Los Angeles Mayor Eric Garcetti who opened up the evening with remarks highlighting the beauty of diversity within Los Angeles, and how MPV is an integral part of the fabric that strengthens this city. He concluded his presentation with an emotional monologue of the life of activist Salwa Bughaighis. The night continued with a presentation by professor and author Reza Aslan, speaking as Islam Behery, UN Special Rapporteur David Kaye speaking as Waleed Abu Al-Khair, a compelling spoken word performance by MC of the night and poet Tom Earl, and Ani Zonneveld who took the stage once again to speak as jailed Saudi blogger Raif Badawi. 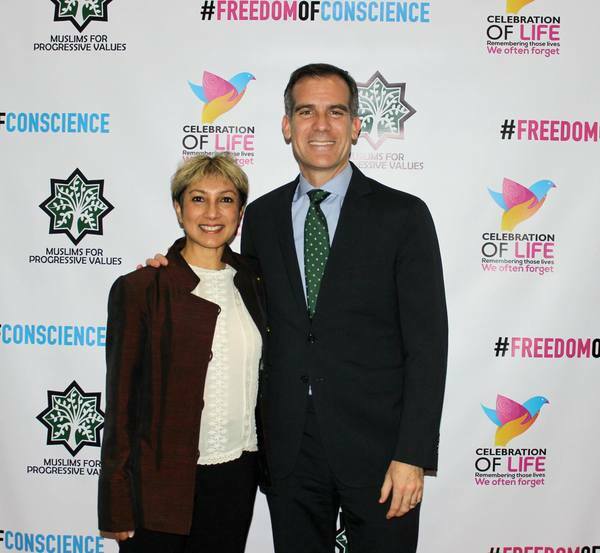 Los Angeles Mayor Eric Garcetti who read as Samira Burghaighis. Afterward, long time friend of MPV, poet, songwriter, and music producer Tony Haynes, lifted us up with poetry as he was accompanied by Hazzan Mike Stein on the Oud. To honor Saado Ali Warsame, Dr. Karima Bennoune, the UN Special Rapporteur on the Field of Cultural Rights, recited her story accompanied by musician Julien Bommeleyn on the guitar. 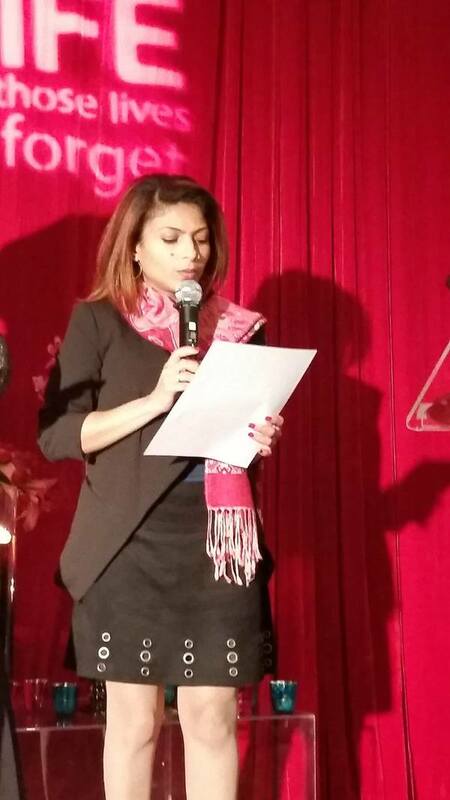 Later on, Indian American LGBTQI rights activist Maya Jafer spoke as Malaysian LGBTQI rights activist Nisha Ayoub. And comedian Aron Kader took to the stage to lighten the mood and remind us that it's ok to laugh at the absurdity of our world. Thereafter, Karima Bennoune joined MPV’s Development Manager to explain how we support human rights defenders, and why it is so vital that the community supports our work. Our hearts were heavy after a powerful monologue of the life of Farkhunda Malikzada, performed by speaker and spiritual author Marianne Williamson. And when tv/radio host Elizabeth Espinoza transformed herself into Samira Al-Nuaimi, we were left speechless. The final monologue of the evening, the life of Sabeen Mahmud, was delivered by our friend Tony Haynes. Our grand finale was singing "We Shall Overcome" together. The night concluded with all the presenters and performers on stage together, to sing a heartwarming rendition of, “We Shall Overcome,” led by Hazzan Mike Stein of Temple Aliyah. All in all, it was a moving memorial evening with beautiful presentations and performances. And as Tom Earl said, when we remember, we send the souls of those we remember love and positive energy. We look forward to spreading that love and light as we keep their memories alive throughout the rest of the year! 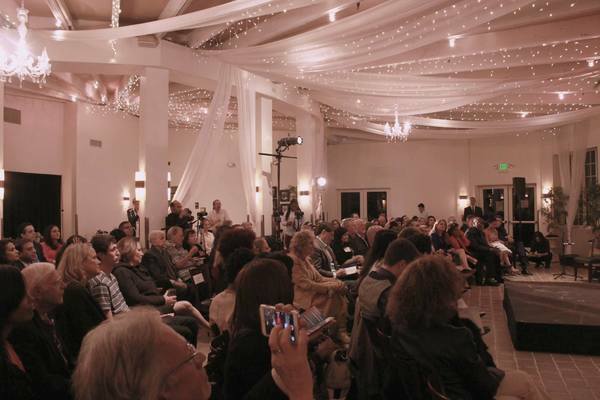 See what attendees had to say on Twitter with the hashtag #FreedomOfConscience. We are looking forward to seeing you at next year's Celebration of Life 2017! Our visibility is increasing in the world and in the national media. Thom Hartmann, a longtime friend and ally, recently mentioned the our work on Bill Maher's show! In an incredible moment of solidarity, Bill agreed that we as Americans MUST stand with Muslims for Progressive Values! Omair Paul at "Finding Common Ground to Dialogue on Faith, Sexuality, & Human Rights"
MPV’s United Nations representative Omair Paul presented at an international conference in Utrecht, Netherlands, entitled “Finding Common Ground to Dialogue on Faith, Sexuality, and Human Rights” in regards to furthering the work of pro-LGBT faith-based constituencies at the UN. Additionally, Omair facilitated a discussion on how such a constituency could engage policy-level processes at the UN in New York to advance faith-based advocacy for human rights and non-discrimination on the basis of sexual orientation or gender identity. His presentation will be included in a publication that the Norwegian LGBT Association (LLH), one of the organizing partners of the conference, will disseminate in the upcoming weeks. Stay tuned! MPV-Atlanta started hosting a Friday gathering on January 22nd. These gatherings will be from 1:30 pm - 2:30 pm at the Phillip Rush Center in Atlanta. 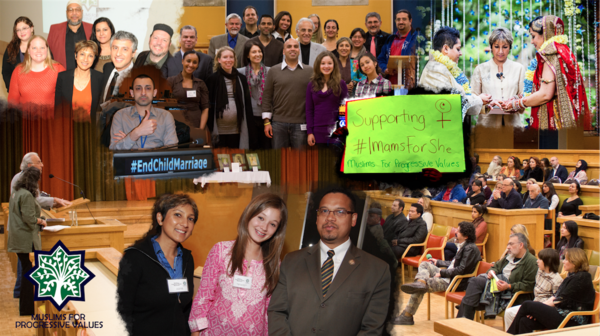 During the gathering, we will not only pray and listen to talks by community members, we will also host workshops, guest speakers, and highlight the work of MPV during this time. Anyone is welcome to lead a discussion, bring in a speaker/workshop, and/or lead prayer. Please contact Kelly@mpvatlanta.org to volunteer or for more information. MPV-Atlanta will be participating in a Sufi Urs (remembrance for a Sufi saint) with our partner group Kaleemi Khanqah Atlanta on Sunday, February 7th from 3 pm - 8 pm. This will honor Hazrat Inayat Khan, who was the founder of Universal Sufism. If you would like to attend, please contact kelly@mpvatlanta.org. There will be a vegetarian potluck as part of the celebration. On Saturday, February 20th, at 11am, friends of MPV-Atlanta, the Ahmadiyya Community of Atlanta, has invited female-identified community members to participate in a program about hijab. Please contact kelly@mpvatlanta.org to be connected to the program organizer. On Tuesday, February 16th, at 7 pm at Johnnie MacCracken’s in Marietta, GA, the Cobb Gathering: A Heretical Discussion, a partner group of MPV-Atlanta, will host a session to talk about the concept of practicing religion without God. This session is open to all - theists and non-theists - who would like to explore this topic. Please contact kelly@mpvatlanta.org for more information. A representative from Malaysia is joining 2016’s Young Southeast Asian Leaders Initiative (YSEALI) Academic Fellowship Institute on Religious Pluralism. The program is held for 5 weeks, starting from January 8th until February 13th. 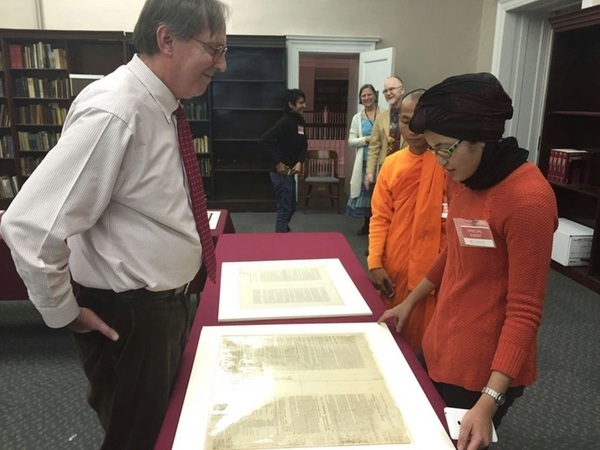 It is hosted by Temple University, Philadelphia, and focuses on the U.S Constitution and history within the context of religious pluralism and interfaith dialogue. We are given the privilege of meeting US community leaders of different faiths (eg Judaism, Christianity, Islam, and Ba’hai) that have done a great deal of work on interfaith collaboration and dialogue. This will inspire positive changes on the path to achieving religious pluralism and moderation in Malaysia. 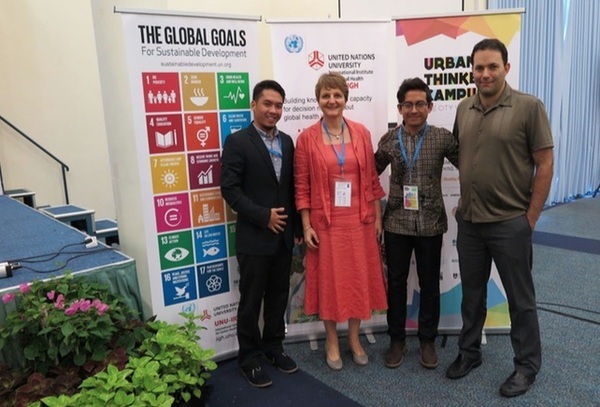 Other members of MPV Malaysia were contributing to a program called the Urban Thinkers Campus on Health and Wellbeing, whose theme was ‘The City We Need.’ This was a global event to re-imagine sustainable urban development in the interest of human health and wellbeing. It was organized by the United Nations University International Institute for Global Health (UNU-IIGH) in Kuching (a WHO Healthy City), Malaysia, on January 24th-27th, 2016. The Urban Thinkers Campus is an initiative of the UN-Habitat; conceived as an open space for critical exchange between urban actors who believe that urbanisation is an opportunity that can lead to positive urban transformations. The conclusions negotiated at this event resulted in the “Kuching Principles,” giving a succinct voice to the health and wellbeing agenda based on the Sustainable Development Goals (SDGs) for Habitat III 2016.